As the responsible person you must carry out and regularly review a fire risk assessment of the premises. This will identify what you need to do to prevent fire and keep people safe. By law you must keep a written record of your fire risk assessment if your business has 5 or more people. Although the person operating a premises may know their day to day business activities inside out, under law they also must be confident and competent in the fire risk assessment process. The Government issues guidance to help businesses “self-assess” but typically this guidance is so detailed and technical that most companies choose to outsource this work to a specialist fire risk assessment company like ASAP Comply. For more detailed information on the Government Guidance click here. As ASAP Comply have clients with hundreds of UK branches, we can offer a competitive service throughout the British Isles where the law relating to fire risk for business and residential premises varies between countries within the UK. We offer comprehensive Fire Risk Management services to a diverse range of sectors including offices and shops, hospitality, healthcare, sleeping accommodation, residential care, educational premises, factories and warehouses. As we also offer equality and access audits we are also able to provide detailed advice on the means of escape for disable people. ASAP Comply provide a comprehensive Fire Risk Assessment service and our reports comply with PAS79 (Chief Fire Officers Association recommended format). Our reports include integrated, photographic identifications of risks and hazards. These identified issues are referenced to a CAD drawn building floor plan, along with any Fire Fittings (existing and missing). This helps ensure that anyone reading the Fire Risk Assessment is easily able to identify Risks and Hazards or short comings within a premises. Our clients also have the opportunity to subscribe to ProComply our database management system which identifies your tasks arising from any risk assessments, helping you to manage the tasks through your own workflow process. 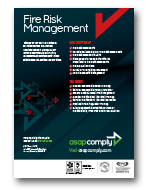 ASAP Comply provide a Fire Risk Assessment periodic inspection service which updates the FRA process, providing ongoing management of the risk and the identification of issues which need correcting to reduce/eliminate fire safety risk. 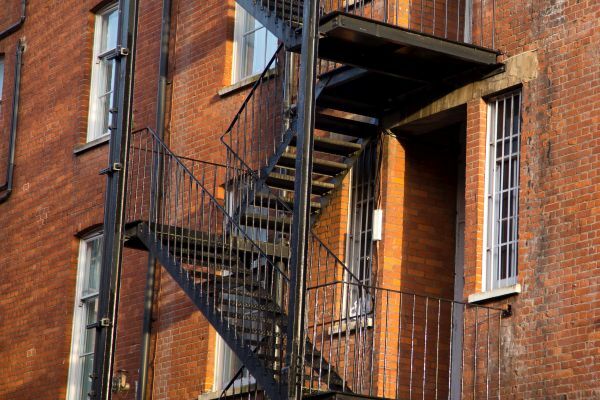 This review is needed to ensure the assessment process is valid taking into account any changes to the fabric or use of the building or if a fire incident has occurred. The remediation or improvement works identified by the Fire Risk Assessment can be project managed by ASAP Comply as part of this comprehensive service. 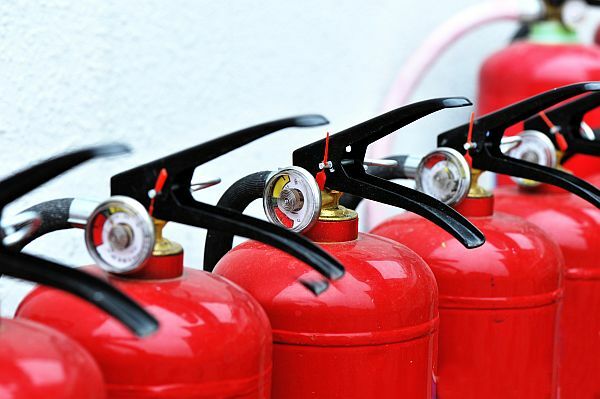 We can also help with the testing and purchase of fire safety equipment including fire extinguishers, fire detection systems and alarms.